Community control of cultural institutions, which would replace board members, could reshape cultural life in the United States. There’s a common belief within the art world that refusing corporate funding tied to questionable investments will threaten the freedom of expression in arts and culture. Discussions about changing this practice quickly flow to scenes of socialist hospital waiting rooms complete with peeling paint, and unpaid interns replacing Robert Mapplethorpe photographs with Norman Rockwell paintings. Much of the private money currently funding arts and culture comes from investments connected to educational segregation (a DeVos family member at the Whitney Museum) and voting disenfranchisement (David Koch at the Metropolitan Museum). Coincidently, similar initiatives have been carried out by the American government domestically and abroad. A series of actions spearheaded by Decolonize This Place (DTP) and taking place at the Whitney Museum of Art presents the opportunity to transform how we build and fund our cultural institutions. It suggests the need for a complete system change including a new focus on private money, to a system that justly taxes Wall Street and the wealthy, as well as asking cultural nonprofits to amend the way they create boards and accept charity. Recently, museums including Tate and the Solomon R. Guggenheim have publicly announced they are no longer taking money from the Sacklers, a family tied to the massive opioid epidemic. This response challenges standard practices at museums and cultural non-profits that validate taking money for the supposed “common good,” where sacrificing the lives of some benefits the greater good of society. 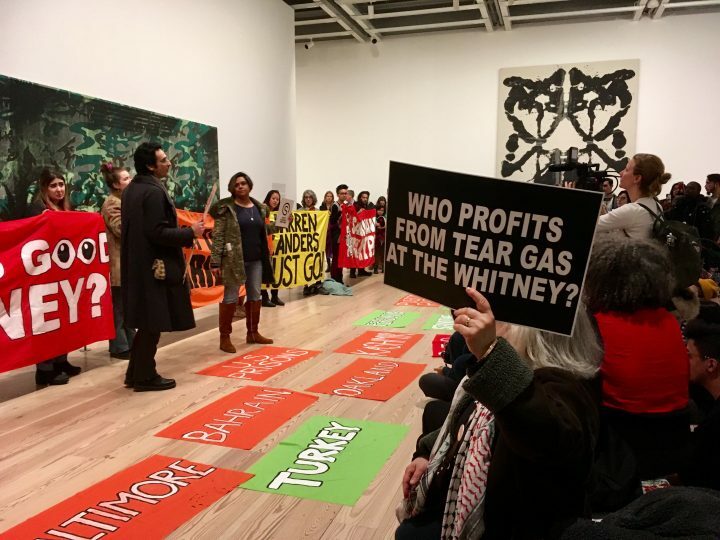 DTP, an action-oriented movement centering around Indigenous struggle, Black liberation, free Palestine, global wage workers, and de-gentrification, organized an action in December 2018 in support of the Whitney Staff. After holding a citywide town hall in January at the Cooper Union, DTP along with 30 other groups, have committed to holding nine weeks of art and action at the Whitney until staff demands are met. As one of the 30 groups supporting these actions, we, the People’s Cultural Plan stand firmly in action and solidarity. As part of the arts constituency, we must pay close attention to the manner in which federal and city funds — generated from our taxpayer money — is spent, who makes these decisions, and why. Consider Manhattan’s Hudson Yards, built after the 2005 rezoning of Chelsea. This is where the Shed sits, a multimedia performance and visual arts structure which, under the Bloomberg administration, received $75 million from the Department of Cultural Affairs (this is, of course, taxpayer money). Projects like these demonstrate that public-private partnerships have evolved the redlining practices of the 20th century into a fine art, all under the cover of philanthropy paid by us, but not for us. For context, it is important to also remember how the Whitney came about to move to Chelsea from the Upper East Side. According to New York City Economic Development Corporation’s (NYCEDC) website, the land the Whitney Museum stands on was city-owned and sold by the city, in addition to providing a “$51.9 million capital investment in the project, and, through the Office of the Mayor, the Department of Cultural Affairs and NYCEDC” giving “extensive technical assistance to the Whitney throughout the project’s conception and implementation.” Perhaps taxing the daily average of $169 billion dollars traded on Wall Street would easily replace the need to use public funds for back door deals, in addition to paying for education, healthcare, and repairs to MTA infrastructure — perhaps even making it free. More so, much stronger ethical boundaries are needed if we are to stop the non-profit sector from continuing to artwash crimes against humanity. The public must demand that those sitting on boards at museums and non-profits ask themselves a few simple questions: How dirty is the money I am receiving or asking for? Who or what may have been harmed in the past, present, or future in the making of that money? Am I or those I work for financially benefiting from my serving on the board? Have the questionable activities that generated this money ceased, and what actions are being taken to repair that harm before donations are accepted or offered? As 501(C)3s, founded to serve the public, these questions would simply be a logical next step. Lastly, the rhetoric taking place at non-profits around “Diversity, Equity & Inclusion,” and an increase in exhibitions featuring Black, Indigenous, Latinx, Muslim, and Asian artists, is a step towards repairing the historical and persistent lack of representation from these communities. However, on their own, such efforts do not change the fact that the funding supporting these institutions is the same that has been made from harming Black and brown bodies. Instead, these efforts serve to further artwash harmful practices and legitimize tainted philanthropy. 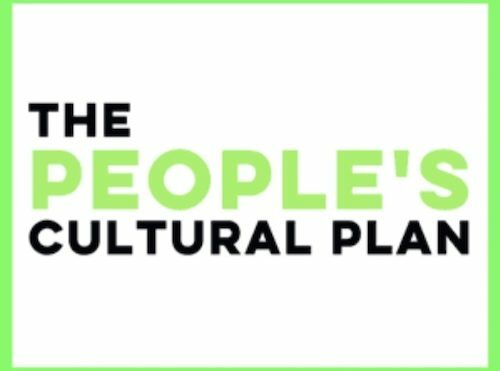 Ultimately, as the People’s Cultural Plan (PCP), we believe in community ownership of land and institutions and advocate for an economy that does not profit from resource extractions, murder, or prisons. Two years ago we organized to address the inequities in New York City’s first-ever cultural plan, focusing our alternate plan on matters of great urgency to working people in New York City: housing and displacement, labor equity, and equitable funding. Community control of cultural institutions, which would replace board members and where community acting as a massive cooperative initiative, could reshape cultural life in the United States. No longer would the wealthy treat cultural institutions as their own private investments. Cultural institutions would have to answer to the people, creating agreements that are true to history and the future. Important conversations about repatriation of stolen artifacts, reallocation of cultural space for community needs, and honestly pursuing decolonization processes at institutions dealing with the exhibiting of and education about art would have to take place. In short, the crisis at the Whitney Museum is not about one particular institution or one particular board member — it is about the systemic misuse of the nonprofit sector by the wealthy, enabled by the lack of adequate public funding toward the public good. Instead of trimming public budgets and spending our tax dollars on war, we must increase taxes on the wealthy, and fully fund a much wider range of social services, including the arts (in addition to healthcare, education, and many other needs). As a result, non-profit institutions like the Whitney may not be forced into a devil’s bargain with war profiteers like Warren Kanders.